With our unique range of gifts ranging from five to ten pounds, Apatchy is the place to shop for stocking fillers. From hair pom poms to muddy boot brushes, Apatchy will help you fill those stockings with thoughtful gifts without breaking the bank. At just £10.00 including a small patch of your choice, the Apatchy mouth guard case makes a fantastic stocking filler for any sports player to clip on to their boot bag, meaning no more mouth guards tucked in socks or abandoned by the changing rooms (hopefully!). They can also be good to store golf tees and boot studs, making it a great multi-purpose sports pouch. 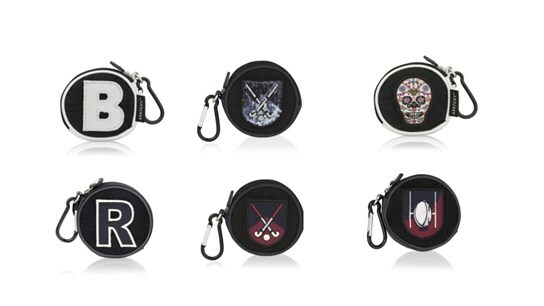 Our cases also make great coin bags, headphones pockets, hair bands and hair grips organiser and much more! A pretty little purse makes the perfect stocking filler for girls aged 5-10. Costing just £10.00 including a patch or initial of your choice, choose from our midnight blue velvet, frosted almond and pinktastic range. Our small purses are perfect for storing a little bit of pocket money, hair bands or our soft and glossy lip gloss. Apatchy's innovative range of luggage tags and keyrings are a perfect stocking filler for teenagers. 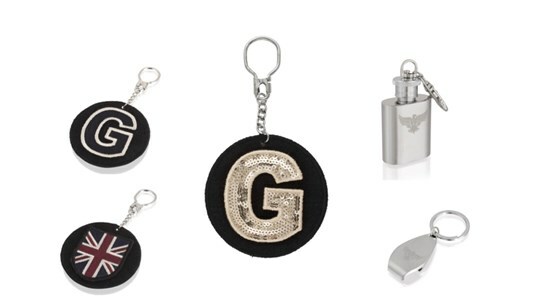 With three designs of keyrings or tags to choose from, our fun range is designed to get creative with gifting. Retailed at £5.00 including one free letter or patch, the Apatchy luggage tag is great for making your luggage stand out at busy airports, as a fun small gift for the jet-setters. At just £3.00 the Apatchy bottle opener keyring makes a great small gift or stocking filler for teenagers aged eighteen and above. Practical and smart with the Apatchy eagle embellished on the top of the keyring, this will surely make the recipient a popular person to be around at Christmas and New Years parties throughout the festive season! For the over eighteens, this innovative mini hip flask is a great stocking filler or small gift at just £5.00. Filled with your favourite tipple, this mini hip flask is perfect for that emergency shot, whether before a party or on the slopes! Our stunning range of colourful hair ties are also a great stocking filler for girls of all ages. From £5.00, our variety of hair ties look stunning when worn as wristlets as well, and are designed to slide out of your hair without pulling or damaging the ends. With our unique variety of pom poms to be worn as wristlets, rings and hairbands at £4.00 each, these fun hair ties add a touch of colour and texture to your winter accessories, and make soft and luxurious little stocking fillers. Apatchy's wide range of boot brushes and sprays make a great stocking filler for boys of all ages. 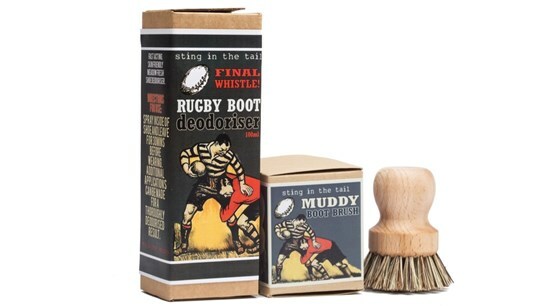 With fun packaging designed for rugby, football, golf and tennis, the boot brushes can be matched with a boot 'deodorant' that may just be as much a gift to you as it is to him! And with an exclusive range for dogs, featuring a firm bristled boot brush to scrape away mud gathered after winter walks, and a spray great for freshening up your undesirable pooch, this fun collection of stocking fillers can benefit the whole family. 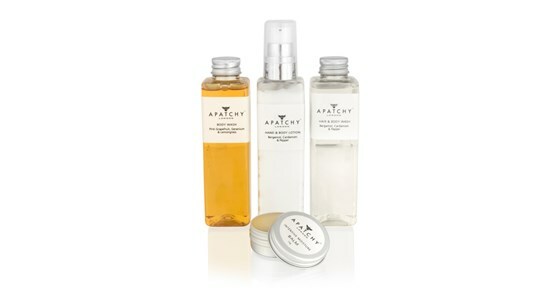 From £10.00, our stunning branded lip balm, body lotion and body wash is a great stocking filler for men and women. It also makes a great accompaniment to any Apatchy wash bags and makeup bags, and is the perfect handbag or travel size for day to day use. Apatchy's range of temporary tattoos are a fun stocking filler perfect for the party season. With a great range of bees, pugs and floral designs, these little stocking fillers are a festival must have and complete a fancy dress look. 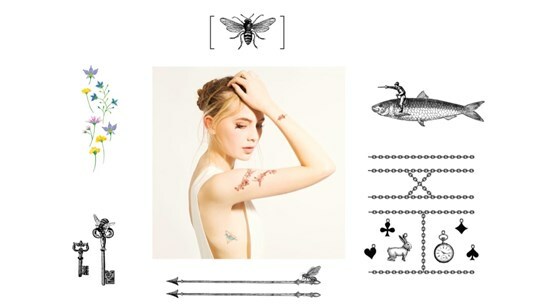 The intricately designed black and white tattoos are a popular gift choice amongst teenage girls, and have had trended around festivals such as Glastonbury, V Festival and Reading and Leeds festival this year. Lasting up to three days, these temporary tattoos can be removed before with baby oil, but are easy to apply and come in a set of two. Apatchy's stunning range of monogrammed notebooks add a neon spark to the mundane task of to do notes and list writing. Gifted at £8.00, these pocket sized notebooks are a practical and quirky stocking filler for girls. A lovely A6 kraft cover notebook with laser cut letter design, this monogrammed notebook is filled with over 80 pages of quality lined paper. 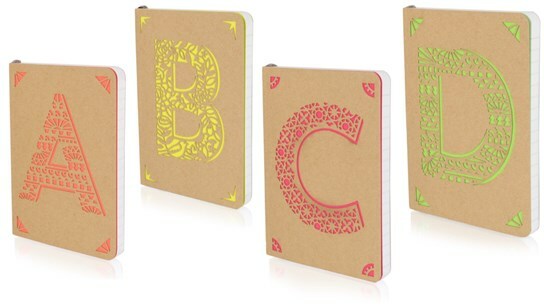 With a choice from A-Z or &, it makes a lovely personalised gift for any stationary fan!  Apatchy's smart branded water bottle is the perfect gift for any sports lover or Apatchy fan. The 750ml water bottle, priced at £4.00 is ideal for club and home use, training sessions, matches and gym use. Fitting perfectly into the water bottle carrier of our personalised boot bags, it makes a great additional sporting gift for cooling off and staying hydrated. Our branded stationary set makes a fantastic stocking filler for children aged 7-11. Full of colourful pencils and sticky tabs to help spurn on creativity, they are the perfect addition to our personalised pencil cases. 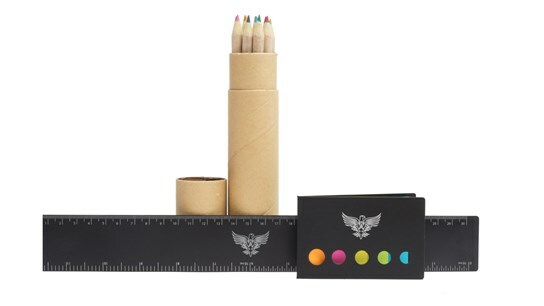 The stationery set comprises of a 30cm ruler (which fits perfectly into our long pencil cases! ), one pack of coloured pencils and one pack of essential neon post-its/page markers. It is wrapped in beautiful dark navy tissue paper to make a unique and creative gift.